A lifetime of professional Bass Guitar teaching resources for only $10.00!! The teachwombat Bass Teacher's Toolkit consists of over more than sixty handouts (that's why it's less expensive than the guitar one). It covers just about everything that you need to teach bass guitar professionally. It has handouts featuring Scales,Chord Arpeggios and Modes along with a range of Blank Bass Guitar necks and Tab Sheets that you can fill in as required. Just like the guitar package the material here will guarrantee that you are ready for any teaching situation. 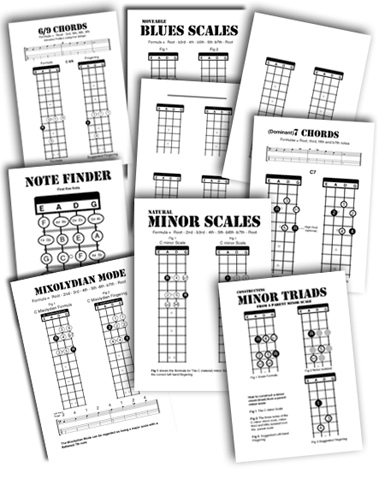 A free sample handout from our Bass Guitar Teacher's Toolkit. Download a freee handout NOW! Page Which Order Should You Teach Things In?